Theresa Senato Edwards has published two full-length poetry books, one, with painter Lori Schreiner, winning The Tacenda Literary Award for Best Book, and two chapbooks. Excerpts from her newest manuscript, "Wing Bones," can be found in Stirring, Gargoyle, The Nervous Breakdown, Thrush Poetry Journal, Hermeneutic Chaos Journal, Amethyst Arsenic, Bop Dead City, UCity Review, and forthcoming in diode. Edwards was nominated twice for a Pushcart Prize, received a creative writing residency from Drop Forge & Tool, and is Editor-in-Chief of The American Poetry Journal (APJ). 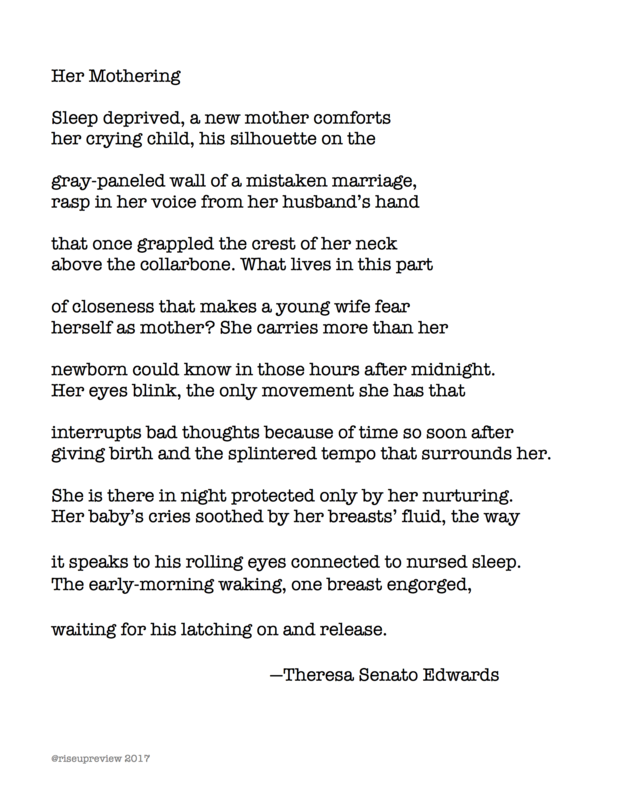 Her website: https://tsenatoedwards.wixsite.com/tsenatoedwards.